This is Thanksgiving week in the US and lots of folks here are taking time off work/school to be with family, eat and be thankful. Swell. I thought it might be fun to post pics of some distinctive VU meters, both for their visual appeal and to find out how recognizable they are. Let’s start with an easy one. Or should I say over easy? 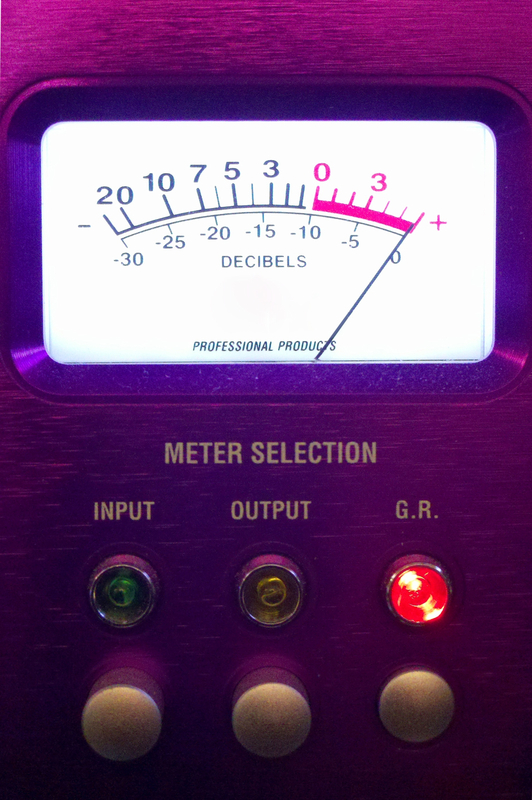 If you think you know which company makes the gear that features this meter, or would like to guess, leave a comment. If the over easy wasn’t enough of a clue, the traffic lights underneath are something of a giveaway. That’s a dbx 160. You are correct about the manufacturer being dbx, Mike. I wanted the first day to be easier than the rest, so I loaded up the clues. However, the unit is not a 160 [ http://www.dancetech.com/aa_dt_new/hardware/IMAGES/dbx_160_main.jpg ]. Hi, I have the same DBX 160 SL and now I have some mechanical problems with the vumeter. Is there any way to fix it?